This gallery of equipment images is designed to help you identify common types of construction cranes and derricks, both past and present. 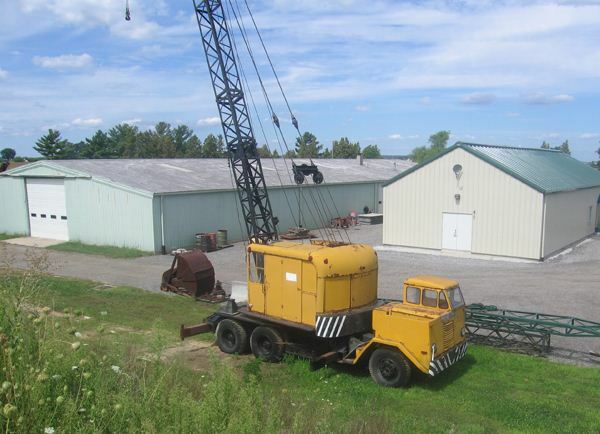 Truck crane: 1945 Lorain MC414. Developed in 1919, the truck-mounted gave the crane speedy, over-the-road mobility. The latticework in the boom reinforces it; this crane could lift 15 tons.